In 1976, the Dart arrived on the French sports catamaran market. It was instantly popular and the Dart 16 became one of the best-known boats of this British brand. Quality trampolines for Dart catamarans! 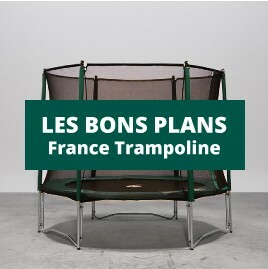 To answer your specific needs, France Trampoline manufactures trampolines that are technically similar to your original model. The trampolines are available for the Dart 15, 16, 18 and 20 models. Designed using an ultra-resistant mesh fabric, these trampolines guarantee remarkable quality. You can also decide to use a canvas material which is cheaper. Steel eyelets are placed all the way around the edge of the trampoline, as well as reinforcements on the more fragile areas of the net. These trampolines have two abseiling straps to help you move around whilst racing. This trampoline is compatible with a Dart 18 sport catamaran and is available in two fabrics.